Decorative nature-inspired bollard light - an eye-catching and functional luminaire, beautiful during the daytime and at night. 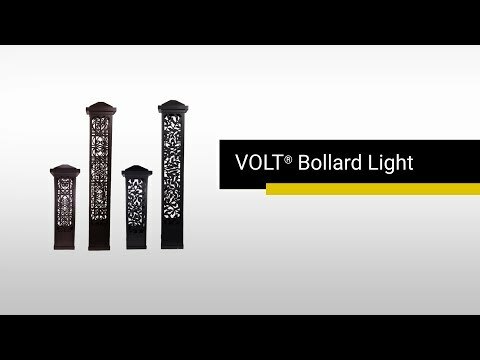 VOLT® Bollards represent impressive and effective visual elements in the landscape lighting design. They add flair and wonder to the nighttime ambience. This 42" bollard is the taller of the two bollard sizes. The fixtures can be installed in the landscape through use of included Hammer® stakes; or onto decks or patios with screws and anchors (not included). The two integrated LED light sources are housed in solid cast brass modules. Dimensions Entire Fixture: 42" x 8" Base: 6.5" Top: 8"